As of the end of 2010 there were 4.1 million FIOS customers (per Verizon’s annual report - pdf). Presumably there are many more now. Assuming there are at least 5 million, that means a constant 100MW of power is needed 24/7–including during periods of peak power. 100MW is the size of a small natural gas peaking unit. Essentially that means that one additional small power plant is running all the time just to power these back up boxes. That also exacerbates the demand on power production and gives Dominion Power and other utilities more ammunition to build more power plants and power lines. 5 million customers results in annual energy consumption of 876 million kWh. A not unreasonable estimate for CO2 is about 1.3 pounds per kWh, resulting in more than 1/2 million metric tons of CO2 emitted due to these boxes. Then there are the wireless routers they also install. That's an additional 15 watts. So that's total emissions approaching 1 million metric tons for 5 million customers. I do not think they are counting these emissions. Nor do they realize that their customers are paying $150 million per year for electricity for their boxes and routers. The technology to make these backup boxes “smart” already exists. They could power down to less than a watt when there is no call for service. But Verizon does not care, or--more charitably--is just oblivious. They would rather save the $1 or $2 on the cheaper unit than help reduce demand on the grid and reduce emissions. Given that they have announced their interest in reducing carbon emissions, this is something that should be brought to their attention. In fact, the costs associated with making these reductions are almost certainly lower than the costs of adding solar arrays to towers, a strategy Mr. McAdam touts in his interview. I’d like for Verizon to include these emissions in their calculations. That would then, hopefully, incentivize them to work with their suppliers to find more efficient solutions. Steve, thanks for doing the math and for calling out Verizon on what could be another corporate sustainability announcement in the form of smoke and mirrors. I’m currently a grad student at Drury University where we’re studying motives behind corporate social responsibility. We’ve run across many companies genuinely operating sincere thoughtful CSR programs with the best of intentions. By this I mean they have a genuine concern for the community or environmental issues their targeting through their CSR initiative. But as you know there is also a mountain of information out there about companies who do one things and then say another when it comes to sustainability and being socially responsible. One of the more enlightening articles we’ve run across comes from a 2009 study regarding corporate hypocrisy and how firms can overcome the perception of inconsistent messages (Wagner, Lutz and Weitz). These authors noted what you’ve pointed out here that, “deviations between public CSR statements and business practices disclosed by other sources can have dramatic effects on a firms image and sales” (p.78). In this case, you are the other source. 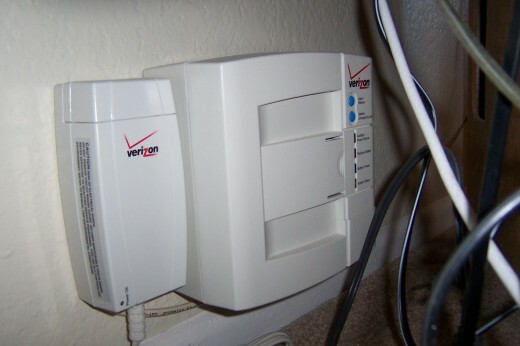 Like you I’ll give Verizon the benefit of the doubt that they are simply oblivious to the energy saving alternatives. Maybe they’ll read your post and do the math too.